Pull your feet back so that your ankles hug the exercise ball. Keep your chest up, shoulder blades down and back, and head back over your shoulders. Raise your arms up so that your shoulders sit at 90 degrees. Squeeze the ball with your thighs and knees. As you do this your body will rise on the ball. If you find this too difficult, try it with your hands on your knees to start. To increase the challenge, hold your arms over your head or close your eyes. 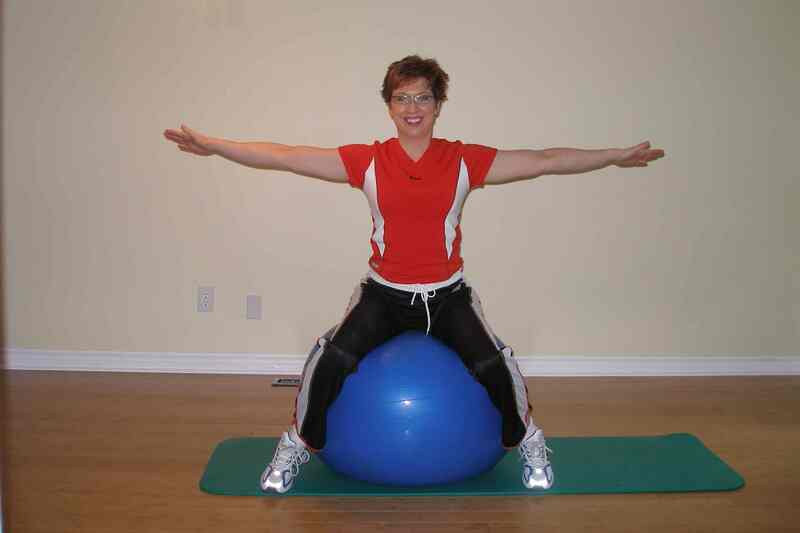 Make your ball less stable by removing the mat or putting more air in your stability ball or both. Move over thighmaster. 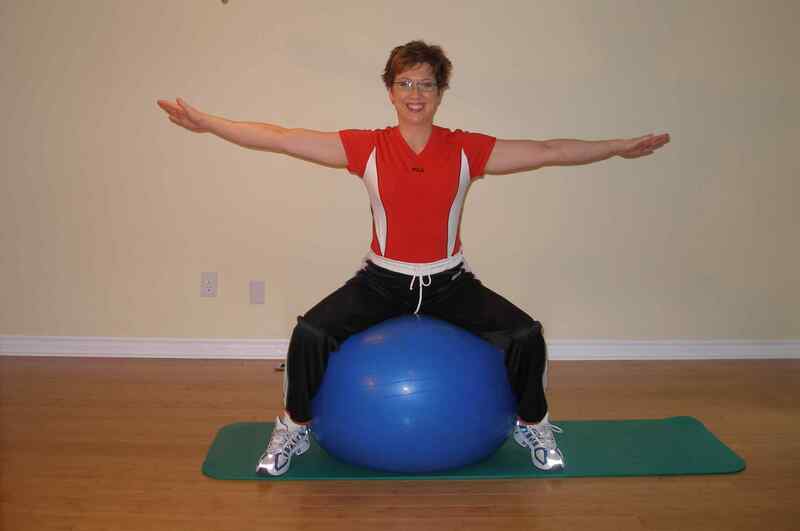 Here is an exercise that works your inner thigh muscles (hip adductors) as you work other core musculature to remain stable on the exercise ball.